This posting is being done by Gayle Moore-Morrans, Ian’s wife, editor, publicist, etc. as Ian is hospitalized at present and waiting for an Endoscopic Retrograde Cholangiogram and Pancreatogram, better known as an ERCP. Tests have indicated a possible blockage or stones in a liver duct and this ERCP should be able to extract the stones or insert stents to clear the blockage. 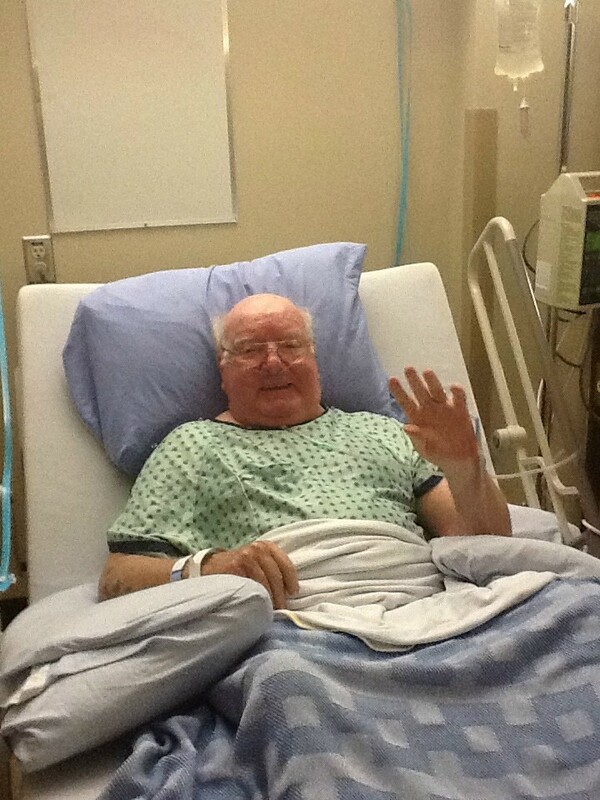 Yesterday he was in good form, joking and visiting with his roommates and also selling copies of his books to hospital staff and visitors. Today he was not feeling as well and actually fell asleep as I was visiting. At least he’s getting a rest. Since I’m the one who has developed this blog for Ian and do most of the manual labour to put this on the website, I’ll take the opportunity of his absence to post the review of his novel that I recently entered on Goodreads, a great site for readers. I recommend it to anyone interested in reading and passing along or getting book recommendations. I’ve found it a great way to connect with the world’s largest community of readers. 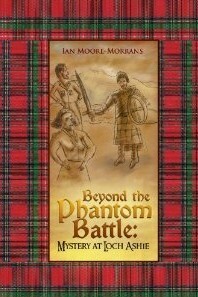 *****Review of “Beyond the Phantom Battle: Mystery at Loch Ashie” by Ian Moore-Morrans. Posted by Gayle Moore-Morrans on Goodreads. *****A tale of adventure, time travel, fantasy, historical fiction and romance set in the Scottish Highlands. As I’m married to the author and have edited the book myself, perhaps I’m a bit prejudiced. However, I don’t think you’ll find a better read that will take you from the 21st Century back to the 12th Century when Vikings were invading the Scottish Highlands. The author grew up and lived in Scotland, in some of the area of which he writes. Geography buffs will enjoy his knowledge of the highland area from Inverness south to Argyll. Historical fiction buffs will enjoy his depictions of 12th Century Scots and Vikings. Fantasy buffs will relate to his turning the historical claim by “witnesses” (to have seen a ghostly conflict taking place over the years around the first of May at Loch Ashie near Inverness) into a tale of two brothers from Edinburgh traveling to that lake and attempting to witness the battle for themselves. Adventure enthusiasts will thrill to the battles, intrigues, trials, discoveries and voyages the brothers endure. Fans of the supernatural will relish the character of “Ancient One” or “Aeoh” as the brothers call him – a wizard-like being with both good and evil powers which he uses with gusto. There is also a wee bit of romance as the brothers fall in love with two 12th Century lassies. Mystery buffs will speculate if Aeoh will really succeed in helping them to return to the 21st Century. Readers invariably mention how they enjoyed the surprise ending. This entry was posted in Biographical info, Fantasy, Novel, Review, Scottish theme, Time Travel. Bookmark the permalink. So sorry Ian is not feeling well, well wishes and love sent your way,Carol Bird.